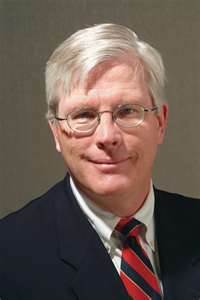 To say the resolution that is going through congress for authority to use military force against Syria, or as Hugh Hewitt calls it AUMF 2.0, is making strange bedfellows is the biggest understatement of this century. This is not just creating a split among Republicans but also Democrats also liberals and conservatives and libertarians, which in effect is uniting some members of those disparate groups that are usually opposing each other. Why is this even in congress' hands [i.e., votes]? The president says he has the authority already to act without congress; the secretary of State John Kerry and Secretary of Defense Chuck Hagel have said the same thing; even many conservatives like Ambassador John Bolton [who opposes action] and Hugh Hewitt [who support action] also agree the president has the constitutional authority as commander-in-chief to take action without a congressional vote. We only have one commander-in-chief, not 535. So, why did the president take this delaying action to send it to the congress? The reason is crystal clear. The president of the United States wants cover for an action he is actually clueless about and a result he is also unclear about, so that if anything goes wrong or does not have the desired results he pronounces, he can and he will blame the GOP congress for it. “I didn’t set a red line, the world set a red line,” Obama said. “My credibility’s not on the line. The international community’s credibility is on the line. And America and Congress’s credibility’s on the line." What, Mr. President? You can sit there with a straight face and say you didn't set a red line. That statement alone should give every congressman pause in voting for AUMF 2.0 Then Obama admits he will blame congress if they vote against a resolution. Have no doubt that not only will Obama blame congress if they don't give him the authority, he will also blame them if they give him the authority but things go badly. Don't doubt me on this. Plus, even if congress votes against the resolution, the president and secretary of state and defense say he still has the authority and may do a strike anyway. So, what the hell is the point of congress' voting on this resolution. He seems to have put the GOP congress in an untenable position [which is what he is after in the first place]-if they vote for the resolution and things go wrong, they will get the blame as they were the ones that passed such a resolution. And if they vote against the resolution, they will get the blame as the president has announced he will tell the world it is the congress who has lost credibility. My solution: Because the House is in GOP control, they should be the ones that tell the president they are not going to take up the resolution because he, as commander-on-chief has the authority to make a strike on Syria. Just don't vote on it. Send back the resolution unsigned. Then you put it back in the president's hands and he will have to man up and take responsibility for whatever action he takes. Do not GOP, I repeat, do not give this president cover. This way the GOP won't be blamed for voting against giving the president the authority, and they won't be providing cover for a bad policy the president may be taking. We [those of us who oppose military action in Syria] are scolded by some who support the resolution who tell us that while we may not like it, President Obama is the only commander-in-chief we have and we must go to war with president we have. Well, I agree with you that he is the only commander-in-chief we have, so that means giving him the responsibility to act like the commander-in-chief by sending AUMF 2.0 back to him, unsigned.